I made this simple doll birthday cake for my cute little daughter (Mithra) for her 1st Birthday. 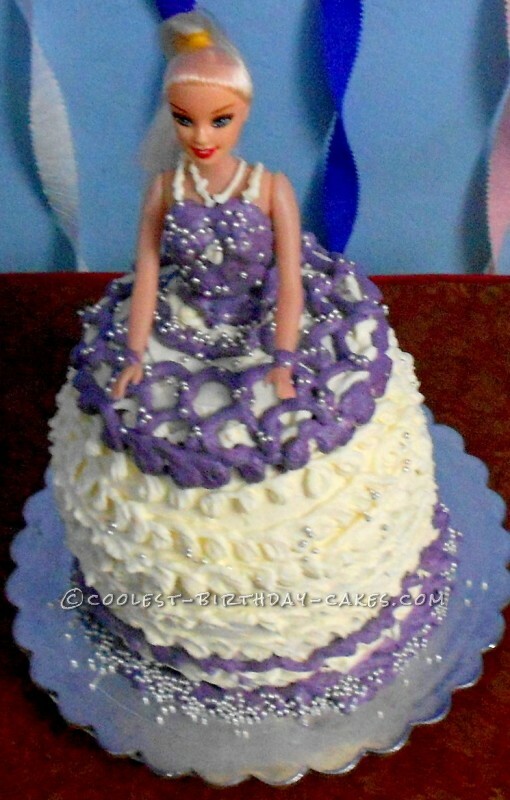 She is very special baby for me so I decided to make something special for her.But I had no clue about making doll cakes and I didn’t even know how to icing the cake. I didn’t sleep the whole night and then I got a spark in early morning and finished the cake in just half an hour. Even though I am not a talented cake decorator it was a BIG HIT among my friends. I baked 3 round chocolate cake for the base of the doll. After assembling the cake I sliced the cake to get the shape. 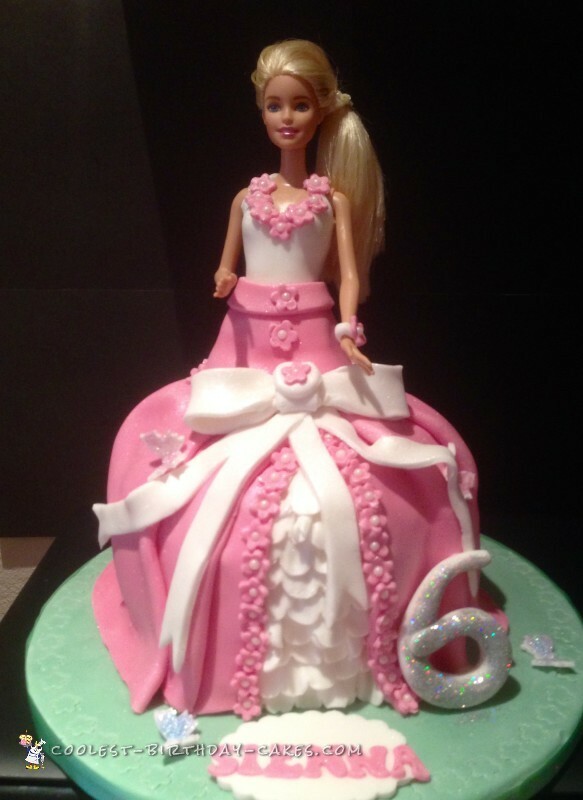 I filled the cake with swiss meringue butter cream and used the same for the dolls dress. For the top I used whipping cream mixed with purple colour (I faced a problem in getting that colour. I couldn’t find the colour in my place. I was little bit worried because I planned to duplicate my daughter’s dress. But my hubby helped me a lot. He mixed red and blue colour and finally he got the color and it made me really happy. Finally I sprinkled some silver balls on the dress. 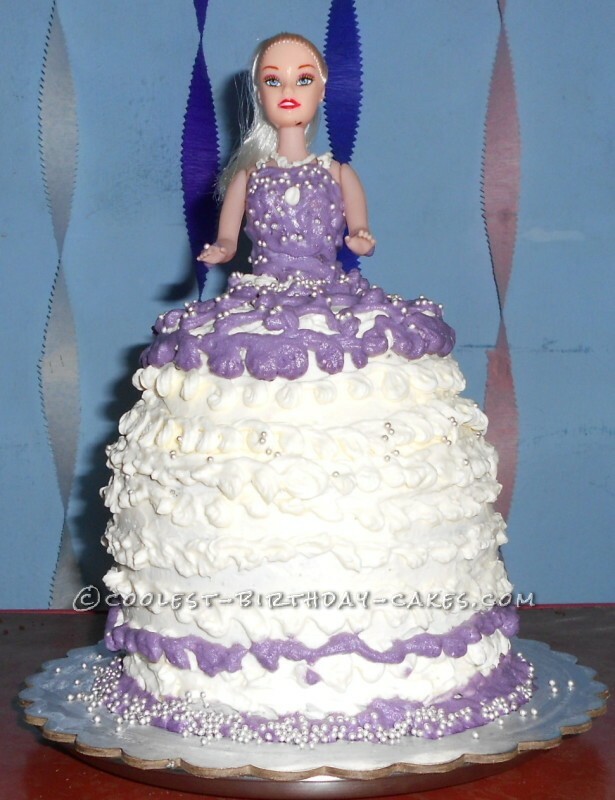 The whole theme of the party was purple and white including formy baby doll and my cake doll.